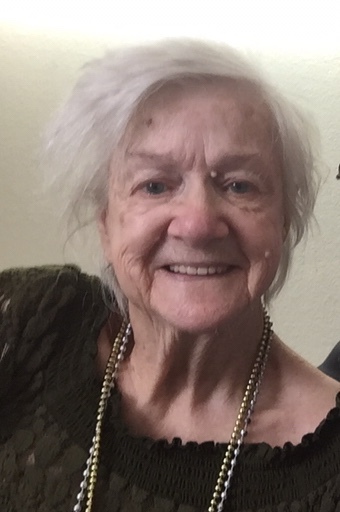 Barbara Jean Swinney passed away on March 15, 2019 in Weatherford, Texas. Barbara was born on December 31, 1931 to her parents, Jimmy Reeves and Valeria Lipham in Anniston, Alabama. Bobbie greatly enjoyed working with ceramics, creating personalized works of art & taking them to trade days to sell. She was a bingo fanatic who loved gardening & her favorite flowers were pink carnations. She could always be found enjoying her coffee & listening to Elvis Presley. Barbara is survived by her brother Larry Reeves, her 3 children Kay Harrelson, Gail Woolard and Ricky Creed and her 12 grandchildren. She also leaves behind a loving abundance of grand, great grand, and great great-grandchildren. Barbara preceded in death by her parents Jimmy and Valeria, her son Steve Creed, her daughter Angie McDowell, her husband Cecil Sweeney and 3 brothers Ozzie, Doug and Richard. Barbara’s memory will forever remain in our hearts.